The young Italian filmmaker, an experienced documentarist, was singled out at Cannes in 2011 for the sensitivity of her direction. At this year's Festival she will be presenting Le Meraviglie (The Wonders), her second fiction film and a work that she has endeavoured to anchor firmly in reality. When asked about her relationship with the camera, Alice Rohrwacher once described the "mixture of fear and attraction" that motivates her. This ambivalence sheds some light on the thirty-three-year-old director's objectives in terms of narrative. In 2011, Corpo Celeste, her first film, was shot in a style that placed a clear emphasis on neorealism and revealed the extent of this young woman's skill in presenting a nuanced point of view. Corpo Celeste also highlighted her marked preference for a subtle narrative thread spun through her characters and conveying her delicate sense of awareness to the screen. Alice Rohrwacher's overriding aim has always been to look at her subject in the most insightful way possible. Her background in documentary filmmaking means that she maintains a solid relationship with reality and the sounds that make up her immediate environment. In her work she pritoritises observation and attempts to keep a visual distance from the situations that serve to clarify her intentions. "I think we should protect cinema that follows a creative process offering a specific view of reality," she argues. "Hybrid forms, which fall mid-way between documentary and fiction, are very interesting and represent the future for narrative." 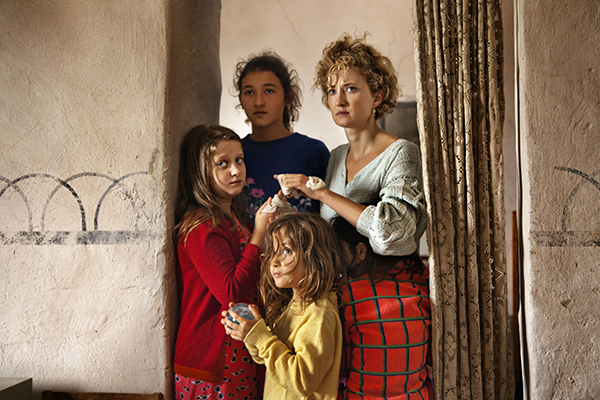 Le Meraviglie (The Wonders) tells the story of a self-sufficient family of beekeepers whose everyday life is turned upside down. Through her portrayal of the family and the events they experience, the filmmaker wanted to address the question of the destruction of regional identities in Italy and the difficultes faced by people living in isolated regions - "the purity of which acts as a prison that they've locked themselves into, to safeguard their economic interests". The credits of Le Meraviglie (The Wonders) feature the director's sister, the actress Alba Rohrwacher, as well as Monica Bellucci, who plays a television presenter. "This film also stems from my observation of families in which the women prevail, for better or worse," explains the filmmaker. To give her work an even more tangible presence, she invited the film crew and actors to get involved in creating the set. "The connections that are made, even if they're invisible, can pervade the images like a magic dust and are seen in the film." Sunday 18th May / Grand Théâtre Lumière / 4.30 p.m.